I had mentioned in a previous blog that there would be a conference on AIDS in Rome. It was a four day event held by the International AIDS Society. At the conference there was a presentation of the results of a trial regarding the spread of AIDS. The results showed that an HIV positive person taking antiretroviral drugs had a decreased chance of spreading the virus to others by nearly 97%. By forcing the virus to "retreat", ART keeps the virus out of the bloodstream and other bodily fluids through which it is normally transmitted. This news will hopefully be a big push for expanding and creating more ART programs across the world. UNAIDS predicts that around 9 million people who could benefit from ART are not receiving the drugs. The next conference won't be until 2013 in Malaysia. You can visit the conference's website here. Another study revealed that male circumcision could reduce the risk of HIV infection by up to 60%. Rwanda is taking this study very seriously and has begun to perform non-surgical circumcisions by using a device called PrePex. 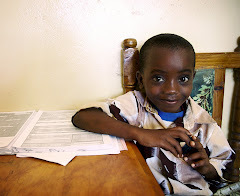 Since December 2010 Rwanda has circumcised 5000 men and hope to have that number up to 2 million by 2012. This, it is believed, will bring the HIV prevalence rate from 3% to 1.5% in the country. For more on this see this article by the BBC.